An internet campaign seeks to popularise the architectural style that makes South Mumbai so distinct. Opposite the utilitarian landmark of Churchgate railway station stands another icon of the city of Mumbai: Eros Cinema. 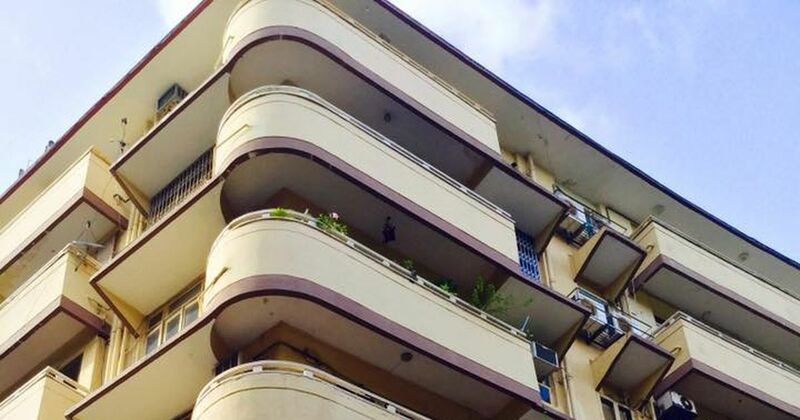 Designed by Sohrabji Bhedwar in 1935, it echoes curving forms and ziggurat (stepped style), which were typical of the Art Deco architecture popular in Mumbai between 1930 and 1950. Every day, lakhs of citizens take the suburban railway lines to or from Churchgate station, without giving Eros Cinema a look. 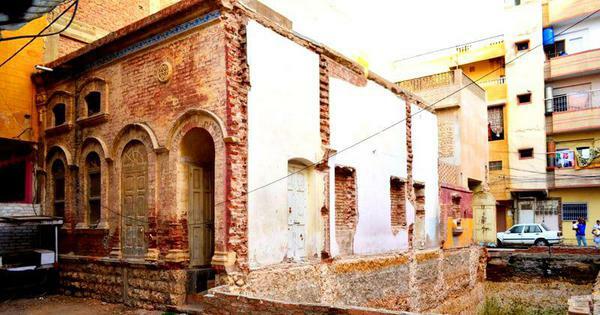 It was this apathy towards Mumbai’s architectural history that did not sit well with Atul Kumar, a finance professional and an architecture enthusiast. With over 200 Art Deco style structures, Mumbai is second only to Miami, Florida in its Art Deco tradition. To ensure preservation of this art form and to educate the younger generation Kumar decided to use the most powerful tool that the internet currently has – social media. Under the handle @ArtDecoMumbai, Kumar has been posting, Tweeting and Instagramming images of buildings located in the older areas of Mumbai with little comments elaborating on their Art Deco features and using hashtags to popularise this form. According to Kumar, most visitors to Art Deco Mumbai pages fall in the age group of 18-34, the audience he most wants to reach out to. For exterior architecture, Ramani admires the Ram Mahal building near Churchgate for its concave, convex and linear design. “And all of it in one beautiful piece of architecture,” he said. 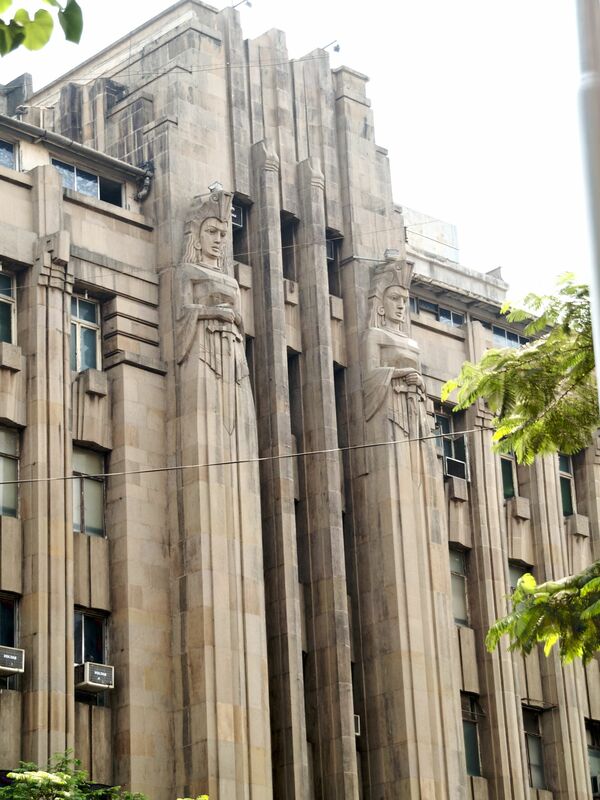 The other iconic Art Deco structures in South Mumbai include the India Assurance building at Fort, and the Liberty and New Empire cinema halls. There are several private residences too that subscribe to the “streamline moderne” aesthetic. India Assurance building. Credit: Wikimedia Commons. When asked how one can identify an Art Deco structure, Kumar found it hard to find one definition that would suffice to explain the architectural form. “Through the posts on social media, we try to focus on, and explain, some of the key features that represent this architectural form, like rows of locomotive balconies, ziggurat, lots of clean straight lines and geometrical patterns,” he said. While many images on Art Deco Mumbai carry descriptions, there are some which only mention the names of the buildings. Some of them focus on the internal design elements of the buildings, like the spiral staircase inside Empress Court or the streamlined pattern of the marble flooring of Bharatiya Bhavan. One of the first posts by Kumar was a shot of Keval Mahal on Marine Drive, one of three identical buildings on the stretch. It is one of the many Art Deco buildings lining Marine Drive. The structure was recently repaired and repainted in cream with maroon lines. Its long balconies with rounded edges, circular motifs and a temple-like roof top, make Keval Mahal a fine legacy of the Art Deco era. As the aesthetic came to Bombay, it was adapted to Indian sensibility, with additions of sculptures of deities, birds and flower motifs. The India Assurance building, for instance, boasts a fusion of both Indian and European motifs. Along with carvings of Indian peasants and farmers, the facade has two large intricate statues which appear to be Egyptian.